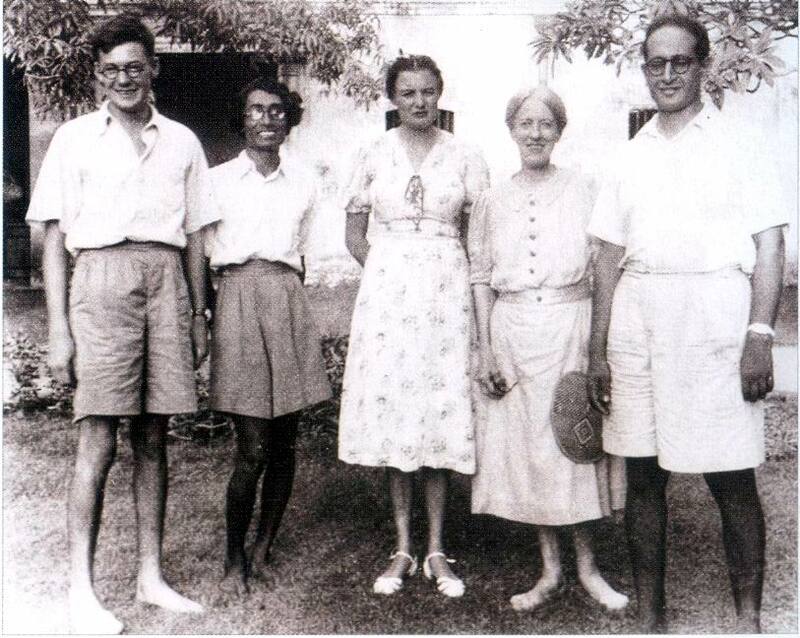 Ethel Anne Lovegrove better known as Mona Pinto (11 November 1911—21 May 2004) came to Pondicherry in January 1937 and married Udar Pinto in the following month. She was chosen by the Mother to be the overall in-charge of Golconde, a responsibility she executed most efficiently till the last days of her life. On the occasion of Mona Pinto’s 107th Birth Anniversary, an interview of her conducted by Anie Nunnally and an article written on her by Krishna Chakravarti have been published in the website of Overman Foundation along with several of her photographs. Ethel Lovegrove and Laurence Marshall Pinto first met under the Big Clock at Charing Cross Station in the “City of Spires” (London) on 27th April 1932; one day after “Laurie’s” 25th birthday. Charing Cross Station is one of the oldest undergrounds in London situated in a charming area of the city surrounded by antique bookstores. Ethel (Mona) was just 20 years old then. They were, of course, properly chaperoned by Mona’s sister, Ivy, and a fellow Indian student and friend of Laurie’s from Goa, Frank Moraes. Frank was an Honor Society Student at Oxford and Laurie was studying engineering at London University. Mona worked at the Gas and Light Company as a secretary (her co-workers nicknamed her “Mona” because she was always “moaning” about the draft in the office. The name stuck.) The girls were busy trying to sell tickets for a benefit performance of Gilbert and Sullivan’s “Trial by Jury” that her company was producing for charity and a friend had some contacts with Indian students. Mona called Laurie about purchasing tickets and he liked the sound of her voice so much that he asked her to meet him personally to sell the ticket; they both agreed to wear red roses for identification. They were smitten and a most unique destiny was about to be forged between these two very attractive young people. Mona was born to Ethel May and Augustus Charles Lovegrove on 11-11-11 (the Mother had spoken about this auspicious and unusual birth date in a volume of The Agenda). The Lovegroves lived in the Poplar section of London and were members of the Anglican Church. Augustus was an electrician and eventually went to fight in the First World War leaving Ethel May behind to care for three small little girls. He fought in the famous 1916 Battle of Dardanelles (ancient name, Hellespont) on the border of European and Asiatic territory. He cut a handsome figure as a young man and can be seen in a photo in the family album in full military regalia mounted atop a camel! During the war period he was missing after a battle for some time and there was no communication with his family. The British Government was unhelpful in the situation (as was the case with many) and the young mother suffered and often went without food for herself to be certain her children were fed. She learned the millinery trade and became a milliner in order to survive and earn enough money to care for her children. Finally, Augustus was found and returned home from the war to be reunited with his family. Eventually three more children were born. All the children adored their mother and set her up as the prime example of everything good that they had learned in life. Mona had been smart, winning scholarships at school and although her father was strict the family was quite open and less conservative than the Pinto family. Mona’s father, however, always insisted that she marry an Englishman only! Their plans to marry were therefore a disturbance to both families and it was only possible or Mona to leave England after her father passed away. It was unthinkable for the Pinto family who were wealthy, (Mr. Pinto bought and sold properties) upper class Catholics from Hubli near Goa, to let their son marry a non-Catholic girl. Mona had to agree to convert to Catholicism in order to marry Laurie. 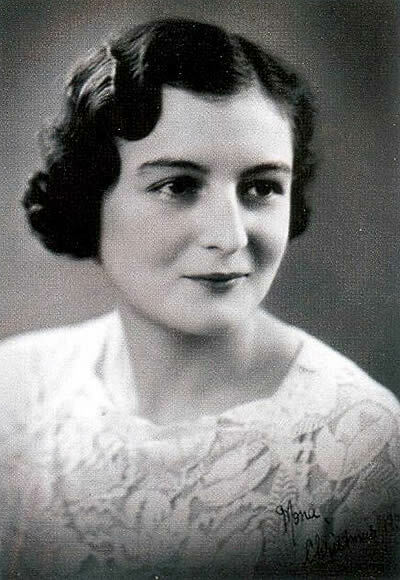 Mona at the age of twenty-one. 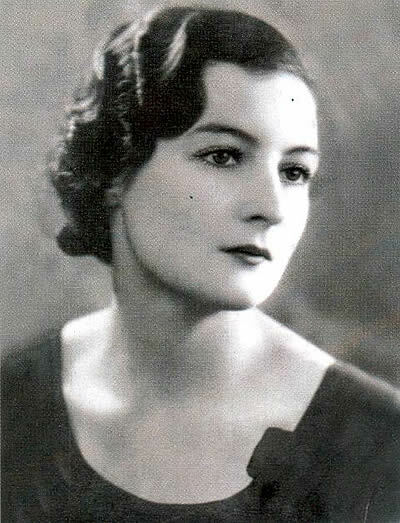 Mona at the age of twenty-five. Mona set sail on S.S. “The Viceroy of India” in January of 1937. Laurie had set up a business in Pondicherry three years earlier (a gelatin business in partnership with Monsieur Gaebele from one of the oldest French families to settle in the former colony). Mona was only 25 and had left behind all that was familiar to her for her marriage and new life in India. The British Raj still ruled and it would be another ten years before India would see its independence. On the journey to India she was chastised by some Englishmen aboard the ship for her decision to marry an Indian and move to India. She had brought along her beautiful, white wedding gown and had expected that there would be many guests attending her wedding which took place on 6 February 1937 at Pondicherry’s Notre Dame Des Anges Catholic Church. However, only one member of the Pinto family attended . . . a brother. No jewelry nor family money was given to the bride and groom and when it came time for the wedding photo Laurie had to set up the camera and then dash back into place next to his bride for the picture. It is even said that an uncle had suggested to Mr. Pinto that he send a telegram to Mona in England saying “the wedding has been called off” and sign Laurie’s name to it! Of course he could not bring himself to do this. In any case, these were the conservative times and traditions were strong. 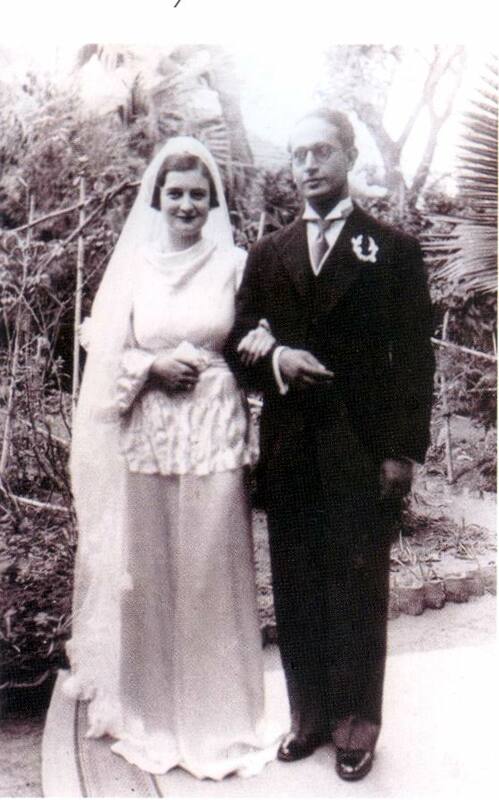 Udar and Mona on their wedding day, 6th February 1937. In any case Mona made the best of everything and Laurie’s business was doing well. They had many friends from the Ashram and entertained them frequently in their home. 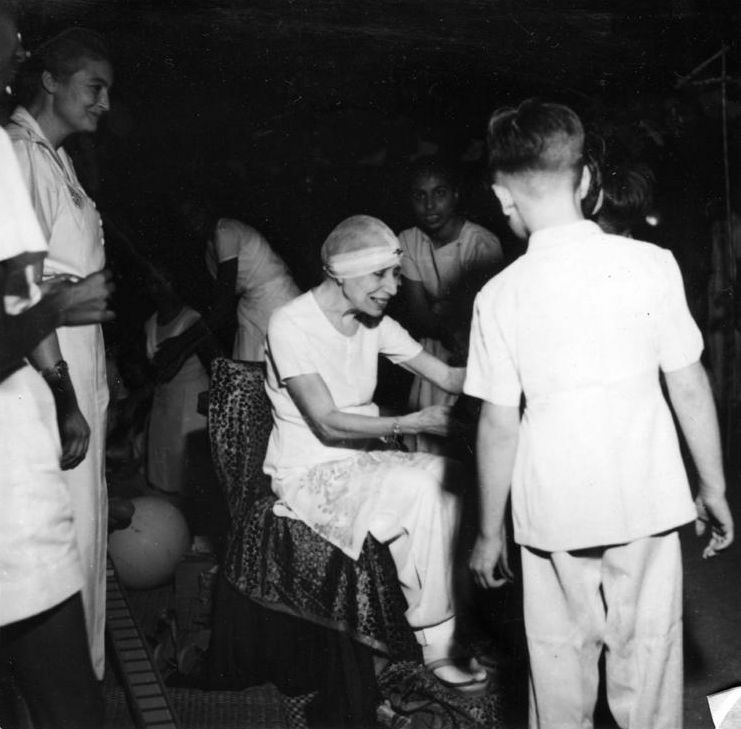 When Mona was six months pregnant Amal Kiran arranged a darshan for them with Mother and Sri Aurobindo. 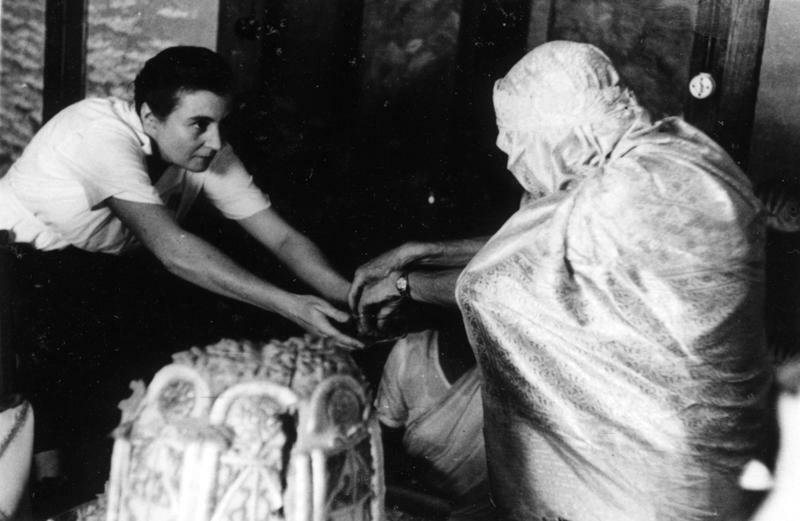 Mona had been educated in a Catholic convent in England and all the talk about the “Divine Mother” in Pondicherry gave her a preconceived idea of a Reverend Mother and the mental image of a Mother Superior or someone who looked like a nun. She told me she was absolutely stunned when she saw the Mother for the first time looking so gracious and beautiful and wearing light makeup. This was August 1937 and their baby girl, Judy Ann, (later to be named Gauri) was born 16 November 1937. By this time there was no question that Laurie had turned inwardly to Mother and Sri Aurobindo and all of their lives were about to be forever changed (Laurie would eventually give all his money to the Mother, become a full-time Ashramite, begin his work for Harpagon and have his name changed to Udar). Mona with her daughter Gauri in 1939. 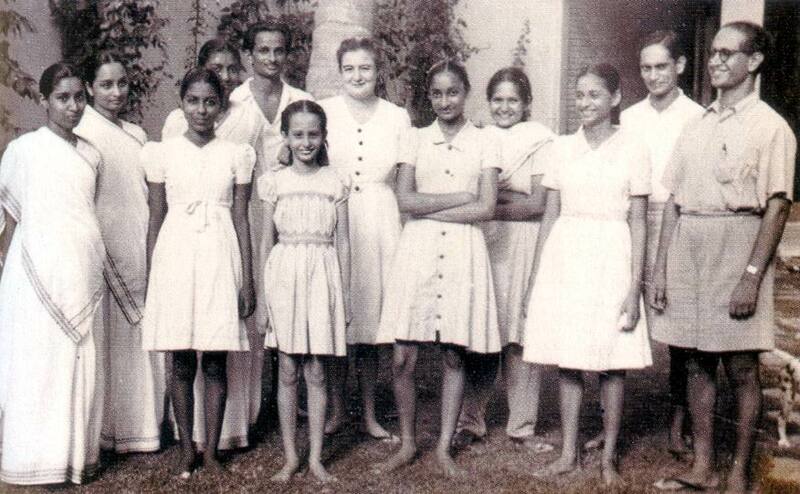 Mona with Udar Pinto, Ambu, Gauri, Nishtha, Meenakshi, Anusuya and Sayanapuram Doraiswamy. Mona with the staff of Golconde in 1940s. Mona with Maniben, Kusum, Lilou, Pushpa, Chandrakant, Gauri, Mridula, Millie, Wilfy and Udar. Mona with Udar and Gauri Pinto. 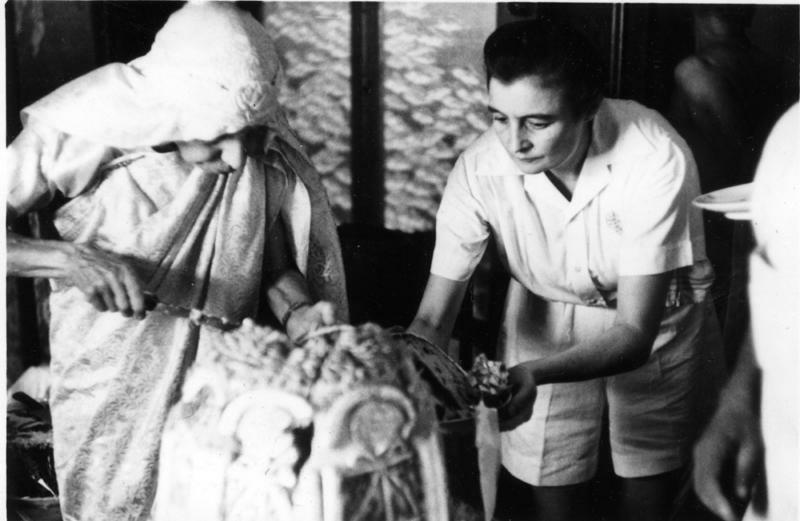 Mona with the Mother on 21 February 1958. 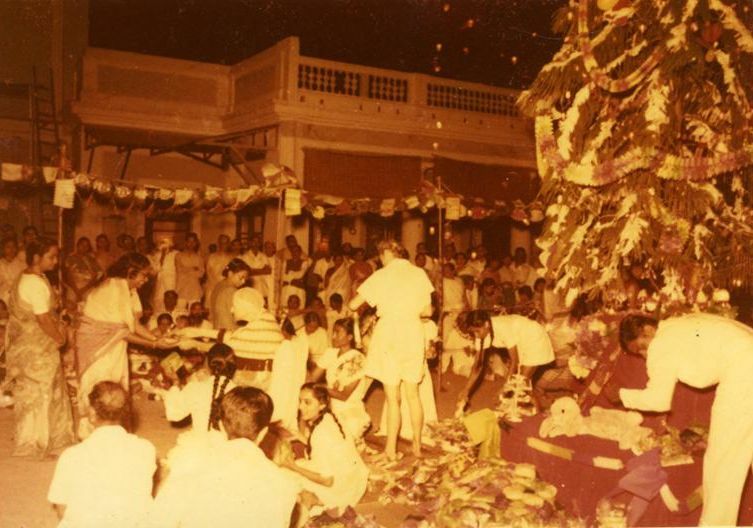 Anie: How did the tradition of celebrating Christmas develop in the ashram? Mona: One year Udar and I set up a Christmas tree in our house (the Red House). Nishta (Margaret Woodrow Wilson) and other westerners came. Nishta made a large star and Udar put it on the top of the tree. Later people went to the Mother and told her about it. She said, “Could it not be done for all the children?” The Mother said that Christmas had come from very ancient traditions. The wise men of the time observed that the days were growing shorter and shorter. People became worried that they would be engulfed in darkness. Then they began to notice that around the end of the month the days had begun to grow longer and that there was a return of the light. Christ’s birth ultimately became fixed to this time of the year as a symbol of the return of the light. So, the children began to come to our home in 1943. Games were set up in our garden and prizes were given out, hats were made and everyone wore a paper hat. All were made by Golconde residents. Even special crowns were made for Sri Aurobindo and the Mother. Dyuman used to come out in the streets and blow a trumpet on Christmas day and a special hat was also made for him. Finally the tradition moved to our current house on Rue St. Gilles and then to the Playground and on to the Theatre when it was built. The Mother went to the Theatre and sat in a chair and distributed gifts to everyone. 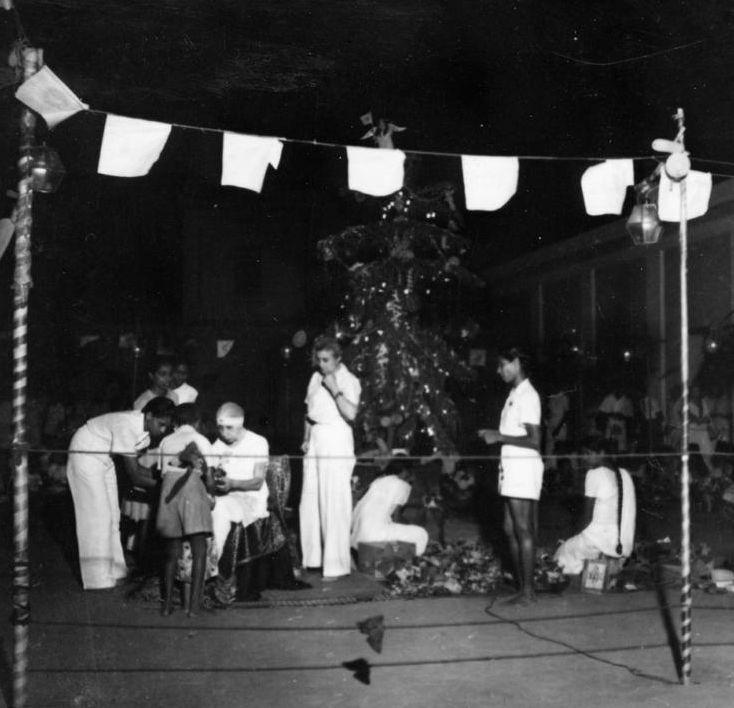 The event remains a joyous celebration in the Ashram and each Christmas day a tree is set up and decorated by the staff of Golconde. Gifts are distributed to all ashramites and guests of the Ashram. The Mother’s chair remains in the spot where she always sat. The Mother with Mona with Kusum, Kumud, Lilou and Maniben during Christmas. 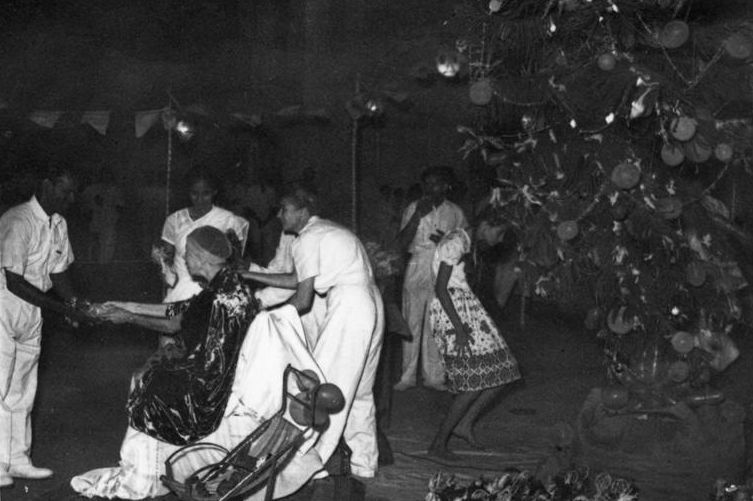 The Mother with Mona, Kumud, Selvanadan and Gauri Pinto in the Ashram Theatre during Christmas. The Mother with Mona, Lilou and Robert. 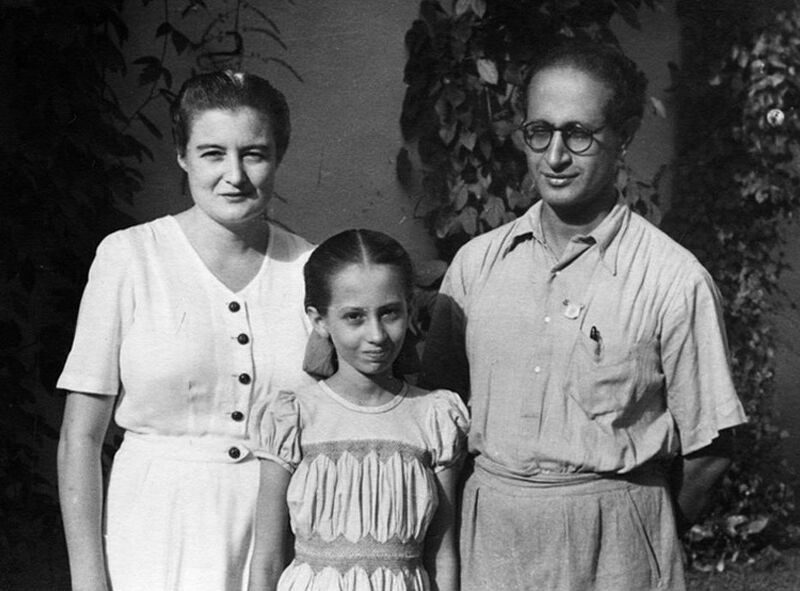 Udar and Mona Pinto with the Mother on 25 December 1960. 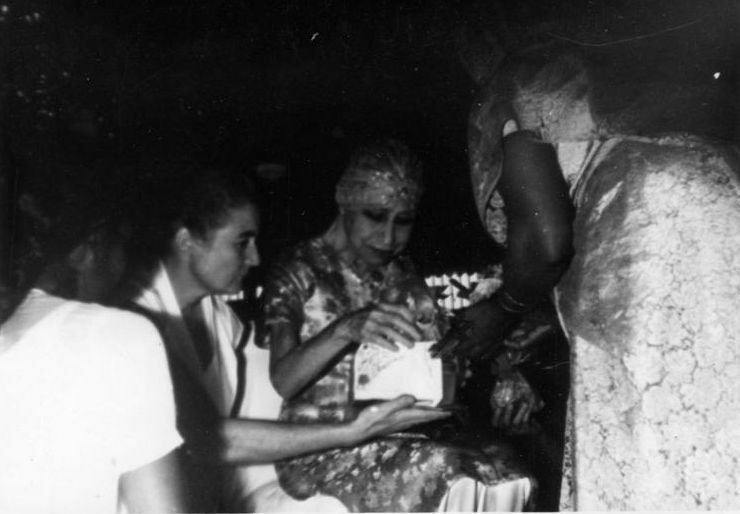 Anie: Did you see Sri Aurobindo in his Mahasamadhi? Mona: Yes, in the end I was working in the Mother’s room. I went to see Sri Aurobindo. He was surrounded by a light and a golden aura. I saw it myself the same as everyone else had seen it. The Mother announced that after five days the light had begun to recede and she told Udar to make arrangements to inter Sri Aurobindo’s body. Udar did not want to do this but of course he followed the Mother’s instructions. After this brief interview with Mona Pinto, it wasn’t possible for her to give me any more time. Christmas day was fast approaching and her responsibilities were mounting in preparing all the gifts and decorations and details for the event. 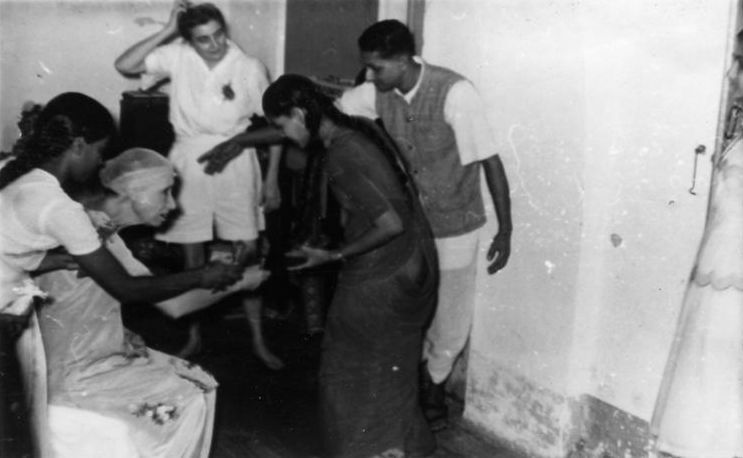 The Mother with Udar Pinto, Nolini Kanta Gupta, Pavitra and Mona Pinto on 25 December 1960. 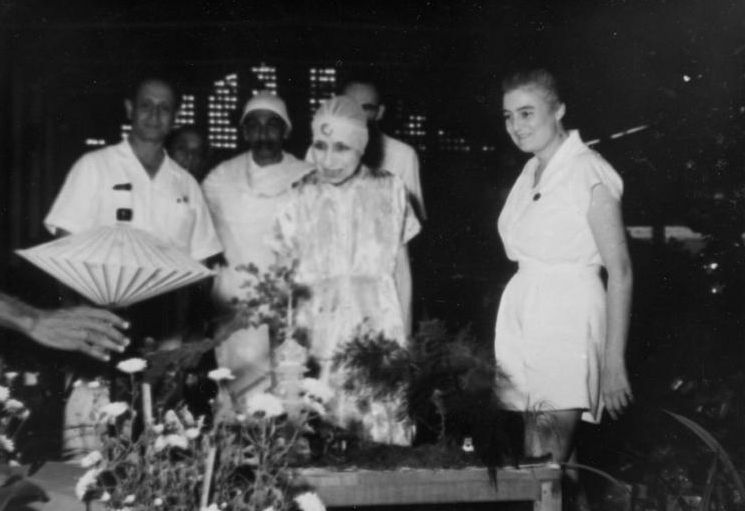 The Mother with Mona and Gauri Pinto on 25 December 1961. 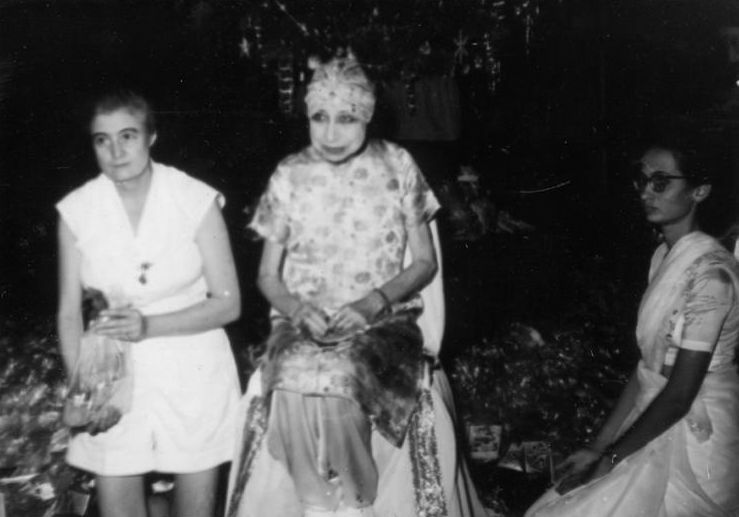 The Mother with Mona Pinto, Pushpa and Annapurna on 25 December 1961. Mona and Udar Pinto, in their inspiring journey of the soul, played a most vital role in helping to establish the Mother’s and Sri Aurobindo’s Ashram. In the beginning their youthful energy, organizational skills, education and expertise, on so many levels, were essential elements in helping to frame the very foundations and infra-structure that were necessary for building a solid base for all the sadhaks who were arriving and for the work and life that was forming there. They will always be remembered with great affection and love by many in the Ashram and around the world. 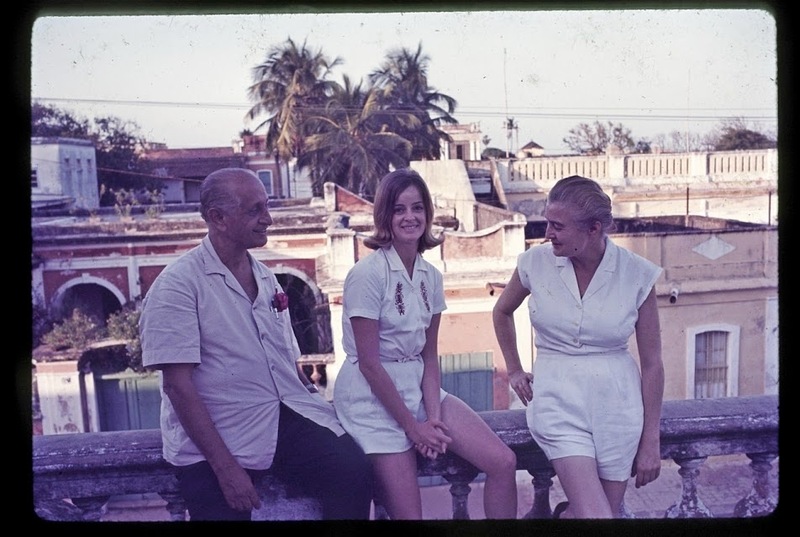 Udar and Mona Pinto with Anie Nunnally in 1968. About the Author : Anie Nunnally (18 December 1936—26 April 2017) was a descendant of one of the signers of the American Declaration of Independence, Edward Rutledge. Edward’s brother, Anie’s distant uncle, John Rutledge, was a member of the convention that framed the Constitution of the United States. Anie graduated with a degree in music from the University of Southern Mississippi and attended the Manhattan School of Music and the Hunter College Opera Department. She appeared in the original Broadway production of Rodgers and Hammerstein’s “Sound of Music” and toured for 14 months with Florence Henderson through United States and Canada in the 60s. Anie sang with the Estelle Liebling Singers and throughout her singing career performed major roles in musical, operatic and oratorio productions in the U.S. and Canada. In the early 1960s, she came to know of Sri Aurobindo and the Mother and visited Pondicherry in 1968 where she stayed till late 1972. 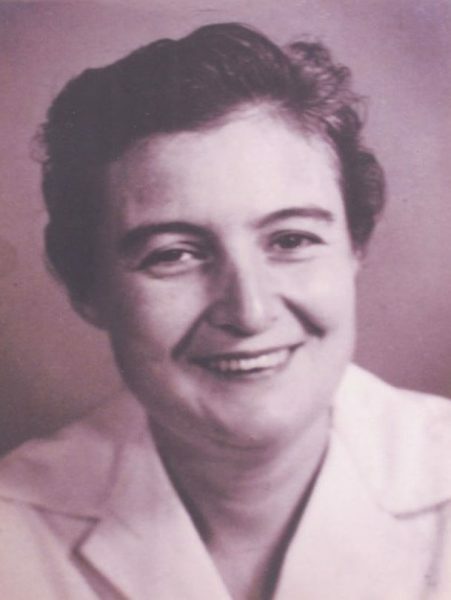 In 1983, after the passing of Eleanor Montgomery, Anie helped in restructuring the Foundation for World Education, a funding organization started by Mrs. Montgomery, and served as its Secretary until 1999. In 1993, she moved to Los Angeles and associated herself closely once more with the work of the East-West Cultural Center also known as the Sri Aurobindo Center of Los Angeles. 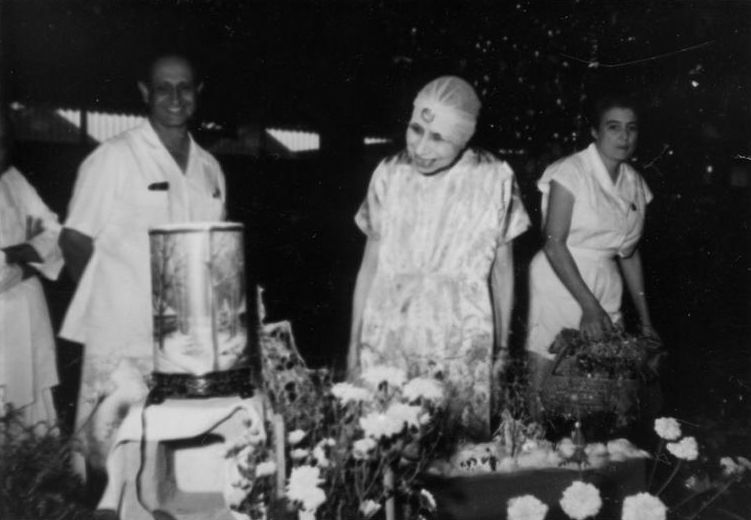 Over several visits to the Ashram in 1985, 1995 and 1999-2000, Anie took a number of interviews with people, whose life have been transformed by Sri Aurobindo and the Mother. These interviews were published in 2005 as a book “The Golden Path”. 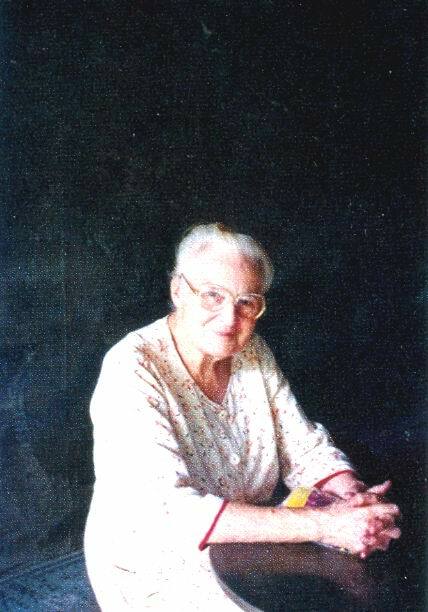 She shifted to Pondicherry towards the end of her life and passed away in the Ashram Nursing Home. When we saw her for the first time, she had already acquired the stature of an empress — the empress of Golconde. Tall, slim, dressed in spotless white shorts and sleeveless blouse — her head held high, with an air of imposing royal authority, she spoke to the point, expected answer to the point — a strictness with words and actions. She must have been born a princess otherwise to acquire that stature of a royal detachment, imposing authority, strict orders, but benevolent and generous would be near impossible to acquire. That was Mona, as known to her friends, born on 11th November 1911 in London, named Ethel Anne Lovegrove. Her pictures of younger days show her to be beautiful, delicate as the daffodils, glowing with youthfulness, vivacious girl. But her mouth had a slight trace of that will — an indomitable and unshaken will power which in later years transformed into an imposing regal authority. So as all the fairy tale stories go, the princess fell in love with a barbarian — an Indian, who had gone to England to study aeronautical engineering, Laurence M. Pinto, later known as Udar. Well, in first half of twentieth century all Indians were looked down as uncivilized, barbarians by their rulers — the British. The protests from the Lovegrove family followed its usual course and Udar went back to India to look for a job to support his future wife. They had decided to get married. Mona just twenty five year old showed then the power she had in her inner being by following her fiancé to India — all alone. She knew none else in India than Udar. The conditions in thirties within British India with the freedom movement in full swing were not congenial at all for an English girl to move out of her native place and go to India. The oppositions from families and friends were over ruled by that girl for her love. Was it love alone or was there an invisible hand guiding the princess’ ship towards India — then both Udar and Mona moved to Pondicherry, where he had set up a business and got married in a Church in Pondicherry in 1937, which was a small township on the shores of Bay of Bengal, with French types of buildings and avenues — a French colony in the heart of British India. 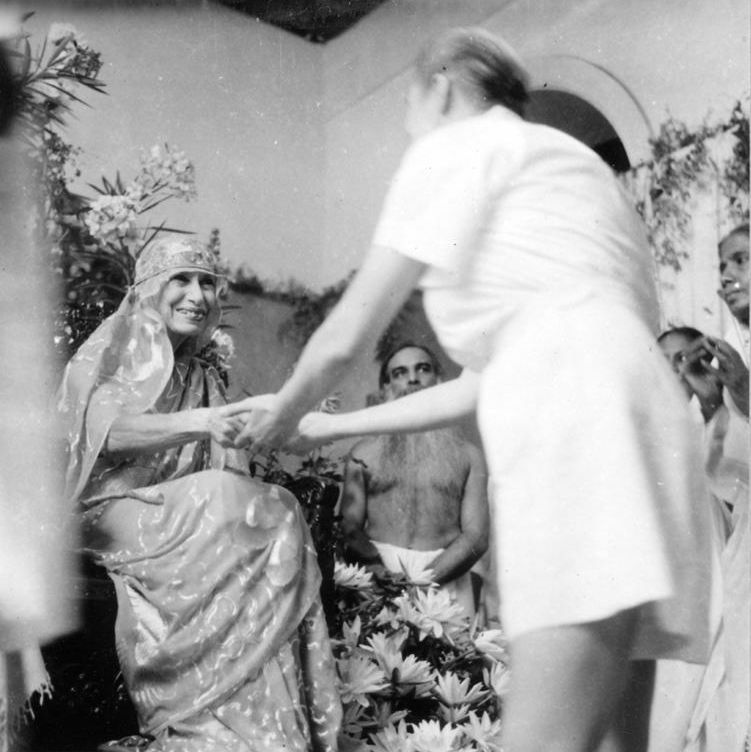 They had the Darshan of Sri Aurobindo and the Mother on August 1937, the invisible hand of the fairy finally brought the Princess to the fairy Land — the Ashram. Udar wound up his business and the princess and Udar with their baby daughter joined the Ashram. He got the name Udar from Sri Aurobindo. Mona too asked for a name but Sri Aurobindo said that He liked the name Mona since it reminded him of Mona Lisa. They quit the ordinary life and joined the fairy land in the voyage of discovery of an inner life guided by Sri Aurobindo and the Mother. Meanwhile in the fairly Land the Golconde dormitory was being built — the Mother’s dream getting a physical shape. Udar was given the work in its building. It was an architectural marvel — a palace woven in dreams in the fairy land. And there the princess was given the over-all charge to look after the Golconde. It was the Mother who guided her in its management. The upkeep of Golconde, the meticulous attendance to its cleanliness, to maintain its rules and regulations laid down by the Mother were the only concern of Mona. She would be there morning till evening. No other activity could take her away from her Golconde. She would devote all her life in this empire of hers, its garden, its buildings, inhale the atmosphere of this cave of Tapasya. 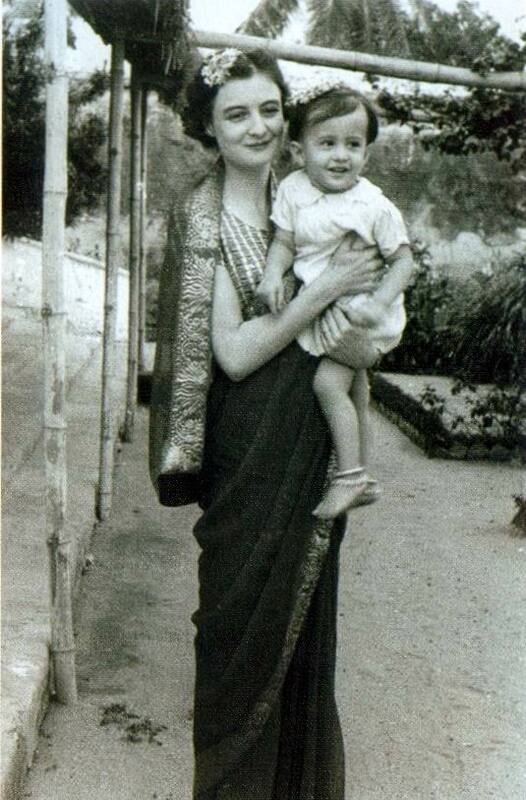 Mona with the Mother on 11 October 1954. 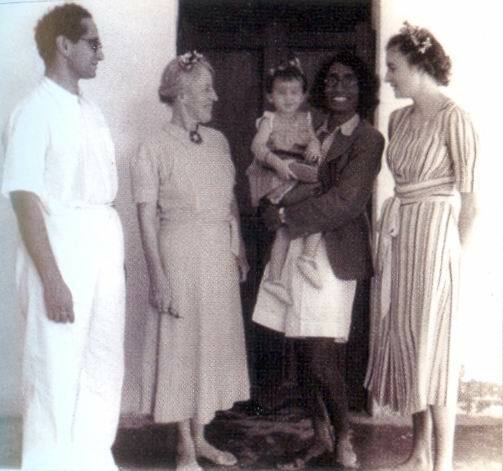 The Mother with Mona and Tejendranath Mukherjee in the Ashram Playground. 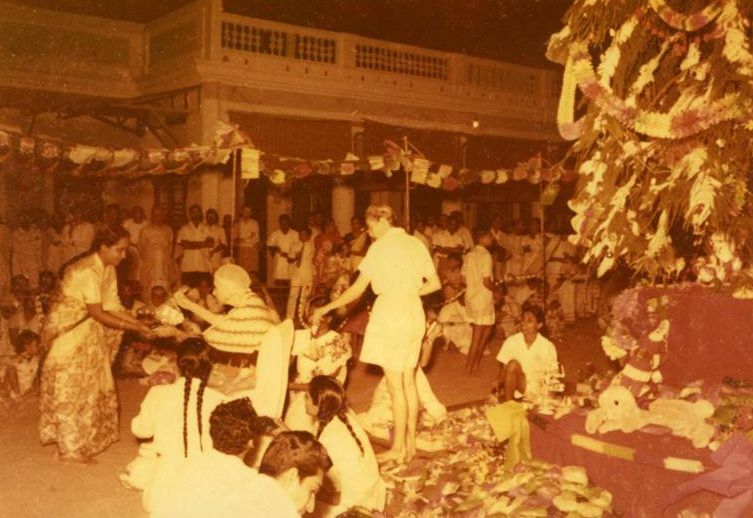 In early forties when the children started to be admitted in the Ashram and the Ashram school started, the Mother decided to celebrate Christmas as the Festival of Light in 1944. Mona decorated the Christmas tree, would arrange the beautiful packed gift packets, and placed them one by one in the Mother’s hands to be given by Her to the children and all who were present. That too, still continues as she reared up a team to smoothly carry out the Mother’s wish — year after year. The Mother with Mona Pinto, Yogamaya, Maniben, Lilou, Lakshmi, Gautam and Neel during Christmas. 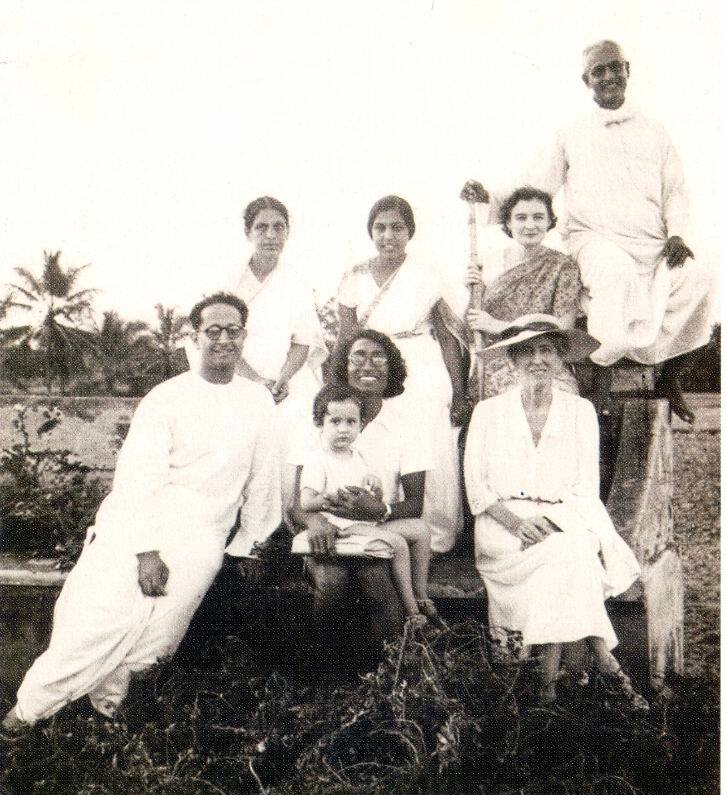 The Mother with Lotika Ghose (Sri Aurobindo’s niece), Pushpa, Mona Pinto, Maniben, Udar and Neel. That was the world of Mona Pinto. For a last few years her health was deteriorating. She and most of us thought Golconde cannot do without her. We soon realized including herself that the team she had reared by hand was competent enough, even if not like her, to look after her empire. That is her most important contribution to Golconde. She realized that it was not Golconde who needed her but she needed Golconde because it was her life. It represented her aspiration, her dedication, her devotion to the Mother. It represented her inner growth, her spiritual progress — all that a young mother chose when she left the affluent and dazzling ordinary life, at the age of twenty seven. Its development represented her progress in the sunlit path. Thus she departed on May 21, 2004, not in defeat but victorious in abdication, giving up her life, to build a new empire at Her feet. About the Author : Born on 7th December 1943 to Justice Santosh K. Chakravarti and Bokul Rani, Krishna Chakravarti came to Sri Aurobindo Ashram, Pondicherry, in 1956 and was admitted in the Sri Aurobindo International Centre of Education. She completed her education in 1966 and joined the Central Office of the Ashram, the work being chosen by the Mother. An inmate of the Ashram since 1956, she is the author of Sri Aurobindo Loho Pronam and Judge Saheb O Maharanir One-Third Dozen er Kahini (in Bengali) and A Garland of Adoration (in English). Photographs courtesy: Ms. Gauri Pinto and Ms. Tara Jauhar.